When audiences next see Batman (Ben Affleck) in Justice League, they'll see a Dark Knight who is more "heroic" and more of a leader, Affleck revealed in a new interview with SFX magazine. “This is a very different dynamic for Bruce Wayne from the first movie, where he was full of anger and resentment and a kind of irrational rage towards Superman," Affleck said. Some fans didn't like Batman v Superman's less-heroic take on the caped crusader, who killed indiscriminately and came close to murdering a helpless Superman. Changed by the selfless sacrifice of the Kryptonian hero, Batman will be closer to his ideal comic book counterpart as he shoulders the responsibility of uniting a team of superpowered individuals. According to the Batman star, the theme of Justice League is wildly different individuals joining forces to work together, and everyone won't be on board right away. With Superman expected to return to the land of the living by film's end, it'll be interesting to see how two of the world's finest superheroes operate now that Batman is a changed man and the two are on more even ground. 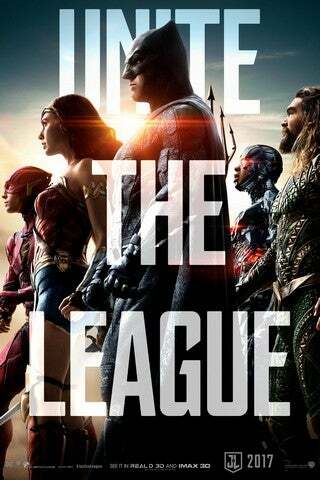 Starring Ben Affleck, Gal Gadot, Henry Cavill, Jason Momoa, Ezra Miller, Ray Fisher, Amy Adams, J.K. Simmons, Jeremy Irons, and Ciaran Hinds, Justice League opens November 17.